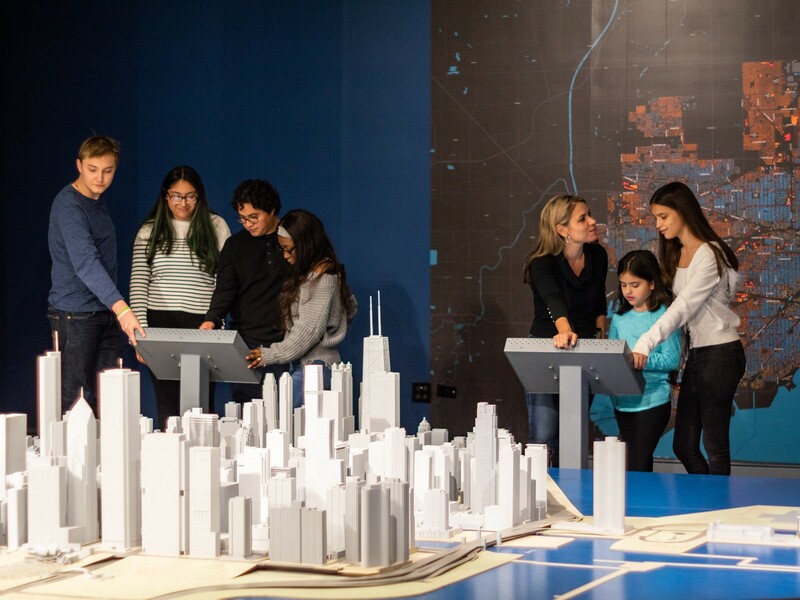 Since its debut in 2009, the Chicago Model has been an icon, beloved by tourists and locals alike. 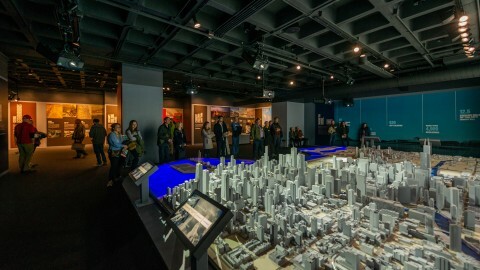 The Model was enhanced and expanded in 2018 to include more than 4,000 buildings. 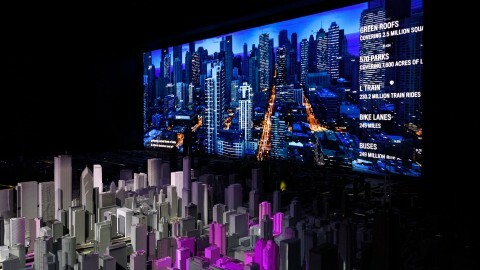 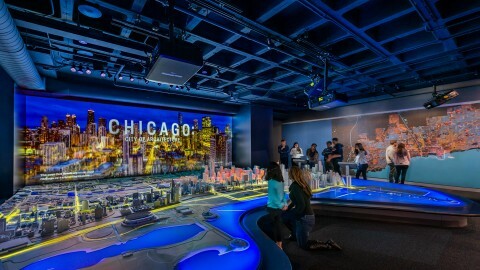 A film and light show illuminate the model with the amazing story of Chicago’s early growth, its rebirth after the Great Chicago Fire and its ever-changing skyline, which includes some of the world’s first skyscrapers and iconic modern towers made of steel and glass. 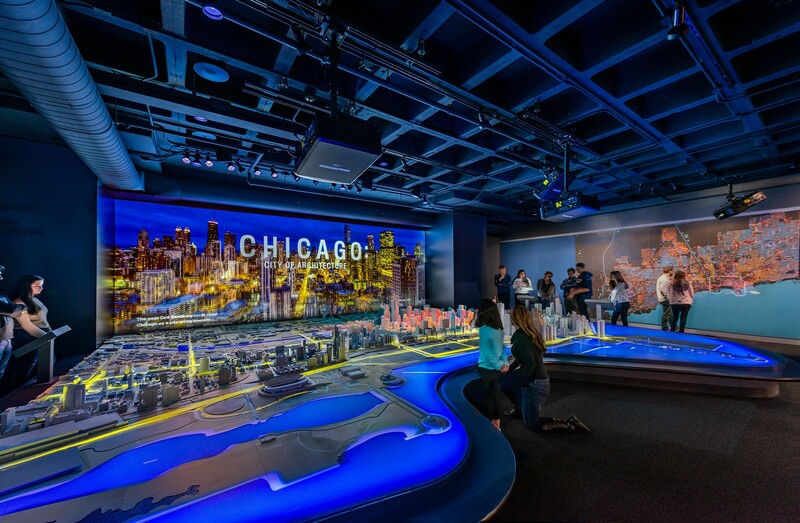 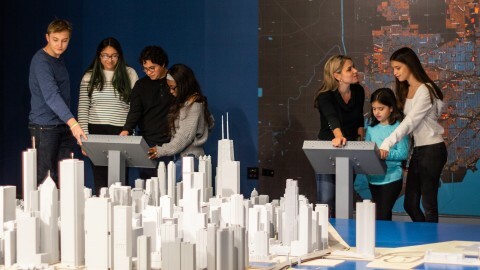 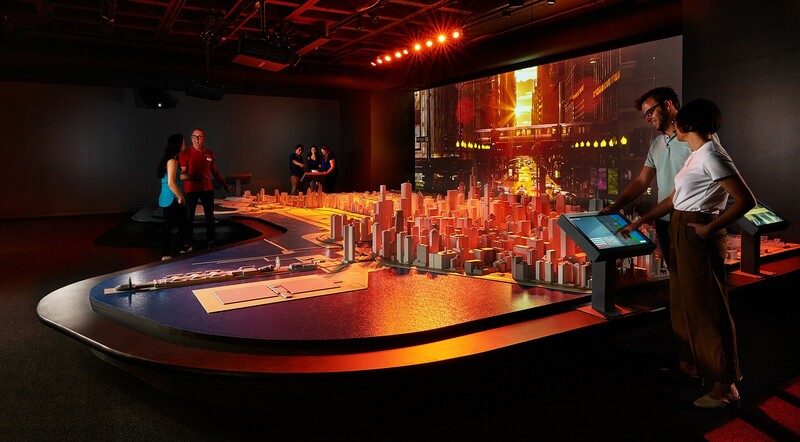 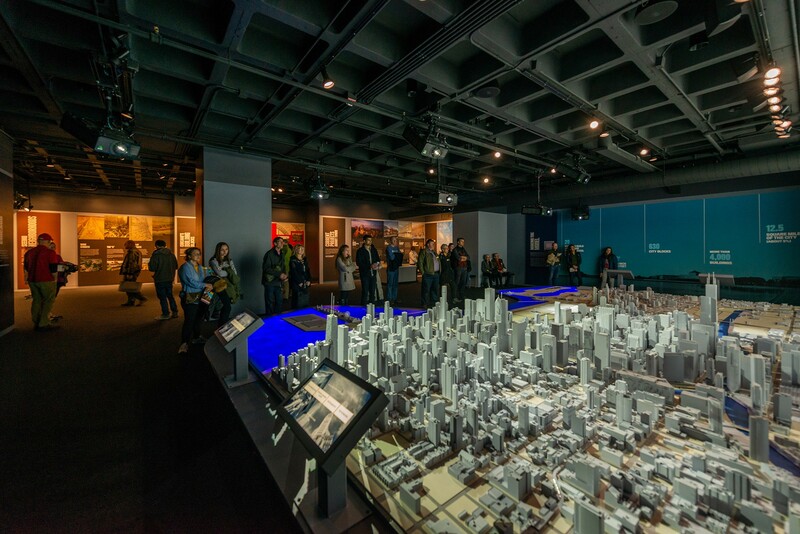 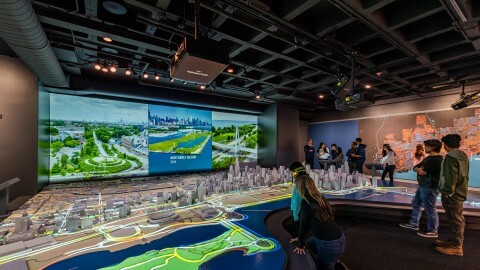 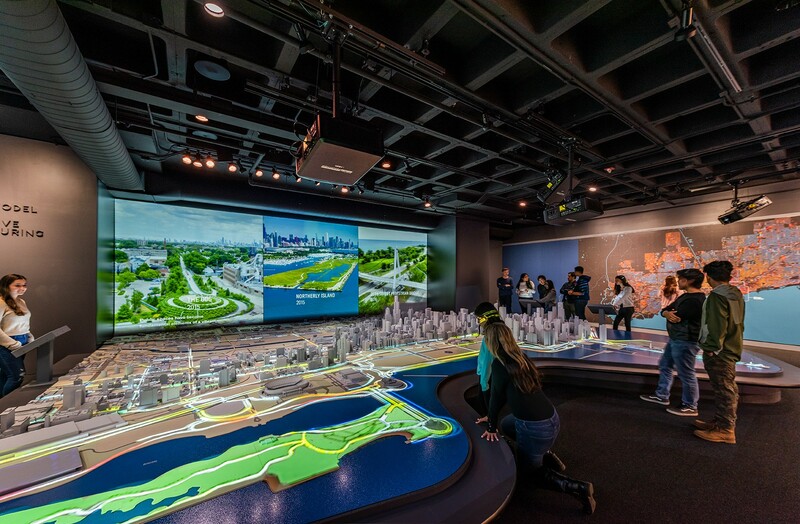 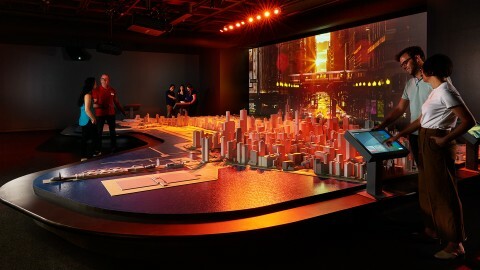 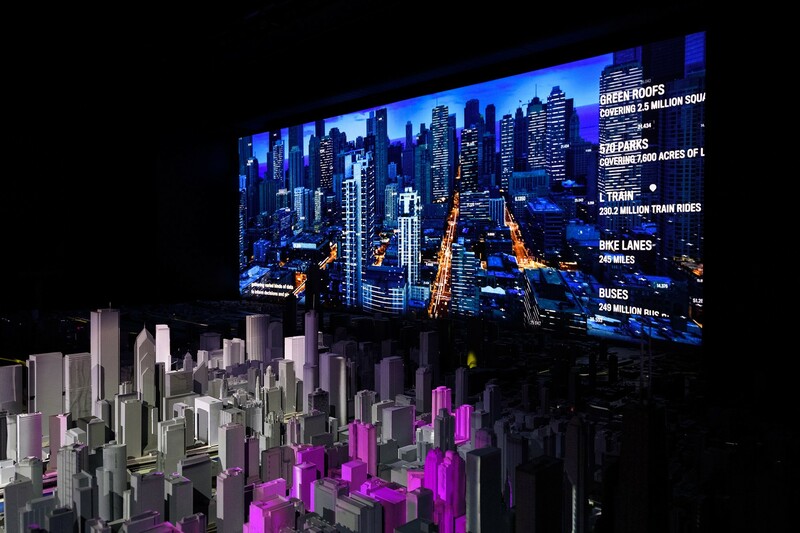 Interactive touch screens around the Model allow visitors to orient themselves to Chicago, search for buildings by architect or architectural style and see data projected on the Model.